Starting a new business is an exciting prospect but there are many serious financial and tax implications that must be considered in order to be successful. Make sure you work with a Hazlet, CPA firm that understands the needs of local businesses and can help you form and register your business properly in the State of New Jersey. At Bedford Tax Services, we offer more than routine business incorporation services. We describe the pros and cons of each type of entity, help you develop a sound business plan and formulate a proactive tax planning strategy. With our counsel and encouragement you can feel confident that your new business will get the best start possible. 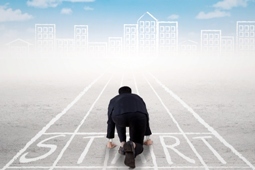 Make sure your new business hits the ground running! Call Bedford Tax Services at 732-739-2632 and schedule a free consultation to learn more about our incorporation and business advisory services. We can explain what it means to form your business as an LLC, LLP, C Corporation or S Corporation so you understand each option. Then we’ll evaluate your new business and determine which type of entity will bring the most financial benefits. We help you cultivate a solid plan of action to realize your dream of owning a small business. We’ll learn about your goals in order to clearly define your company’s direction and translate it into a sound business plan that will assist you as you try to obtain financing. We also make ourselves available to answer questions and offer recommendations on how to best manage your finances. We help you to manage your tax liability by ensuring you select the appropriate entity, take advantage of any tax breaks that apply to your industry and are always in compliance with both Federal and State tax laws.